I don't know about your house, but in our house CHEESE IS A BIG DEAL! In fact, my husband won't rate any meal over a 9 out of 10 if it doesn't have cheese on it...and if I ask him how I could improve on a meal, I usually hear, "Add more cheese" or "Add cheese to the recipe next time". And my children...same story! When I get the cheese out to grate or cut when I am cooking, my children race over and beg for some until I cut them a slice! But I have found it hard to find a good variety of organic cheeses in stores near me and it can be quite frustrating to keep stocked up on cheese. So when I found out about Organic Creamery and their A-MAZING selection of organic cheeses from a place that is very near and dear to my heart - WISCONSIN!!! (since I lived there the last four years of my life), I was so excited to try out their selection! Organic Creamery cheeses are produced in a manner that is beneficial to the health and welfare of people, animals and the environment. All products are hand-crafted by award winning Wisconsin cheesemakers with 100% certified organic milk. The fresh milk used in production is sourced from family farms that practice humane animal management and pasture grazing and is free of pesticides, antibiotics and hormones. Additionally, no animal rennet or artificial colorings are used during production. 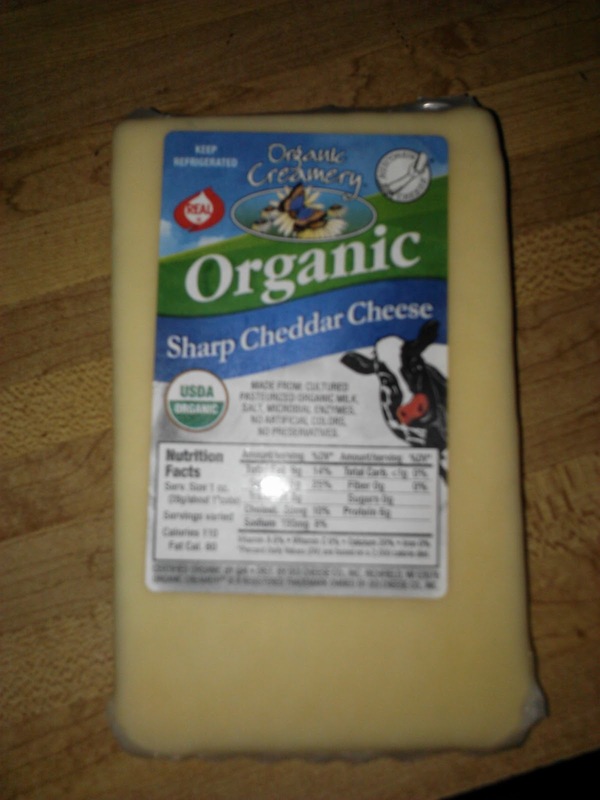 Organic Creamery cheeses proudly display the USDA organic seal. I was so excited to received a great variety of cheese from Organic Creamery including Parmesan Cheese, Shredded Asiago, Pepper Jack, Sharp Cheddar, and Silly Cheese string cheese. The favorite in our house HAD to be the Silly Cheese string cheese! Made from part skimmed milk, Organic Creamery® Silly Cheese® string cheese is a healthy, between-meal snack and a great addition to a lunch box. It was comforting to me to give my children a healthy snack made with 100% organic milk that is free of pesticides, antibiotics and hormones. My children would beg for these string cheeses every day for every meal and if they got one, it was devoured in seconds! They were soft, chewy and delicious! Another favorite I loved to cook with was the Sharp Cheddar Cheese. 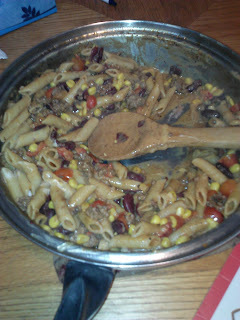 It went perfectly with my Taco Skillet meal that you see pictured above! 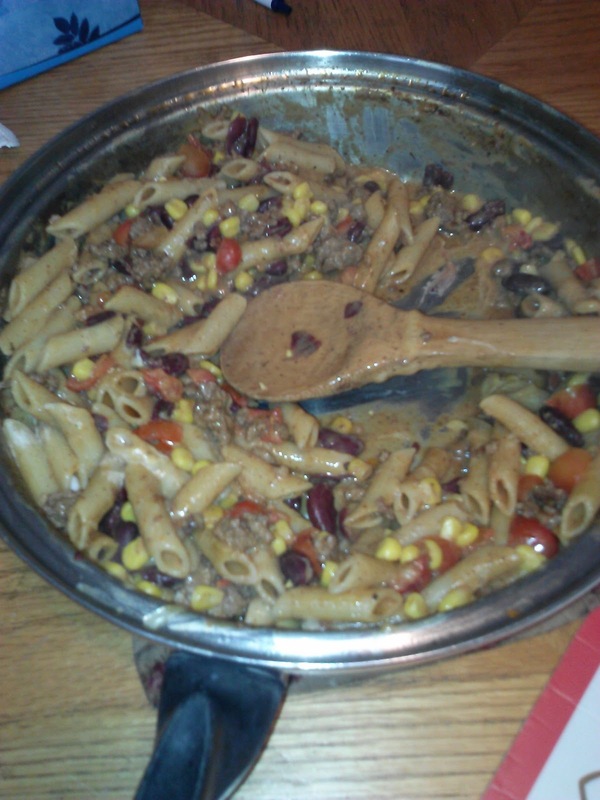 It grated easily and melted into perfection! We used the Pepper Jack cheese to add a little spice to Mexican dishes and the Parmesan & Shredded Asiago was so great for topping off some of our favorite meals. 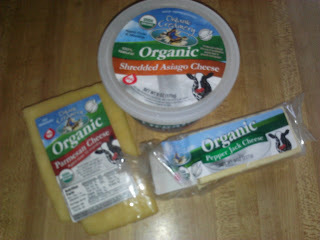 I found myself excited to cook some of our favorite meals again now that I had these great tasting organic cheeses to add to them! So, if you are having trouble finding quality organic cheese or a good variety of delicious organic cheeses, you have got to check out Organic Creamery and you will be in Cheese Heaven! 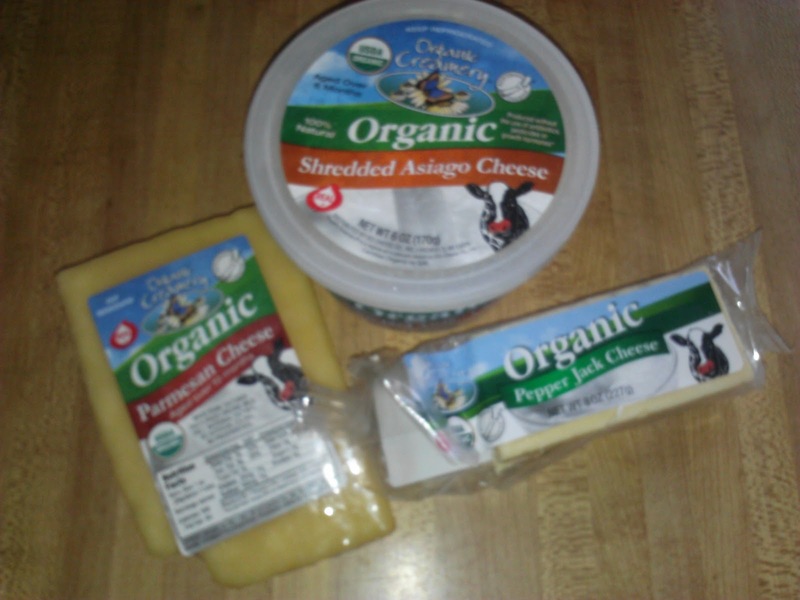 Buy It: You can purchase all Organic Creamery organic cheeses in your local retail store.